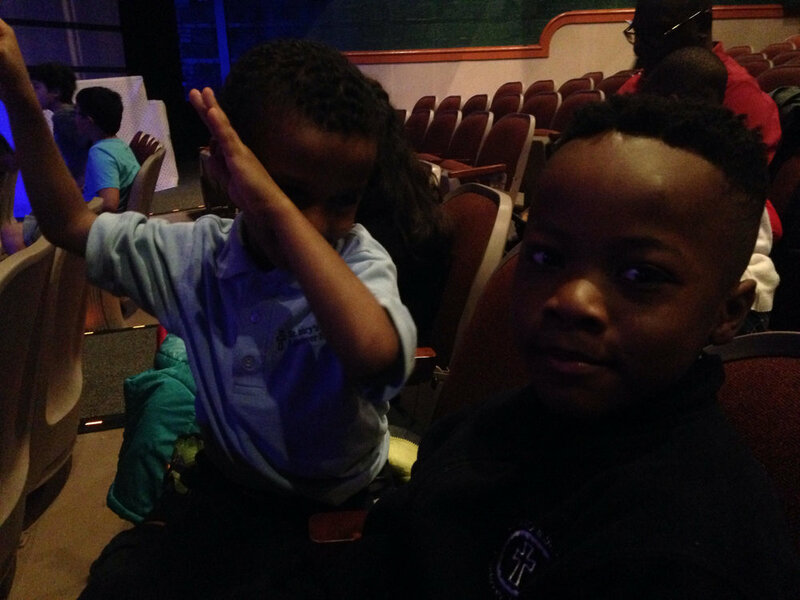 First grade and Kindergarten had a wonderful time at our field trip! 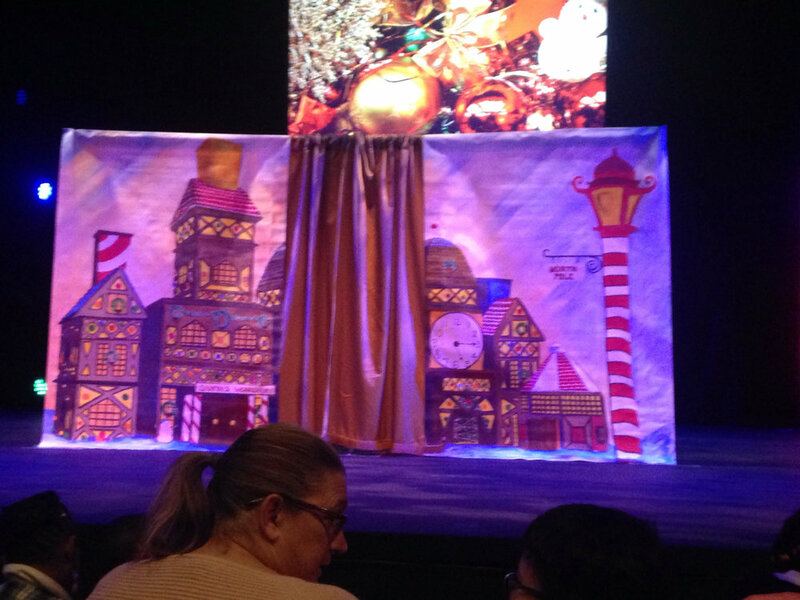 On Tuesday, December 5, we traveled to the Cheverly Publick Playhouse to see the play "Christmas With Santa". The story followed two zany and lovable elves Scrunchie and Bangles as they must stand guard over Santa's presents before Santa goes out for his Christmas ride. During their journey, they get a visit from Santa and learn the true meaning of Christmas! Our class had lots of fun on this trip. Two students, Andrea from 1st grade and Amelia from Kindergarten, even got to participate on stage for one scene! We had a lot of fun and are excited for our future field trips later in the year. Click the first picture to start the slideshow.